What Should You Do After a Vehicle Collision in Chicago? Contact Kurasch & Klein immediately after your crash. Giving us as many details as you can will help our Chicago lawyers assess your motorcycle accident lawsuit and help you plan a course of action. CALL KURASCH & KLEIN AT 312-372-7250. WE DO NOT CHARGE UNTIL YOU GET THE COMPENSATION YOU DESERVE. Why You Need a Personal Injury Attorney? Although motorcycles are legal vehicles and drivers have the same rights and responsibilities on Illinois roadways as other drivers, motorcyclists are often discriminated against. Many people consider them to be unnecessary risk takers or irresponsible by nature. Such an attitude can present a challenge when it comes to determining fault for a motorcycle crash and the compensation for which the driver is eligible. When you enlist the help of Kurasch & Klein, you are gaining access to experienced personal injury lawyers who put the needs of the client first. We take over the legal battle so that you can focus on your physical and emotional healing. We know the law and have the resources to investigate your accident. We will calculate a fair claim that includes all types of compensation to which you may be entitled under Illinois law and help you build an effective case to fight for the full amount. Our Chicago motorcycle accident lawyers take on the insurance companies and strive to settle out of court, and have successfully won settlements for clients who have been in motorcycle collisions. However, we will pursue your case to trial if no agreeable settlement can be reached. Contact us to begin working your lawsuit today. What Do Motorcycle Accident Victims Need to Know? You know the stereotypes. Reckless. Thrill-seeking. Adrenaline junkie. Sometimes, these categories might fit. However, more often than not, motorcycle riders are safe, aware and calm when riding. In a Chicago motorcycle accident lawsuit, the opposing party might try to use these stereotypes against you. Having legal representation can help you defend yourself. Unfortunately, just because you are a safe driver does not mean that other drivers are. Being on a motorcycle carries a greater risk of sustaining major injuries, but that does not mean that receiving them was your fault. Seeking motorcycle accident victim information after you have been involved in a crash is the first step to seeking justice in your case. Motorcycles can help commuters reduce fuel expenses. However, the smaller size of motorcycles makes them less visible, putting the driver at greater risk of accident by no fault of their own. 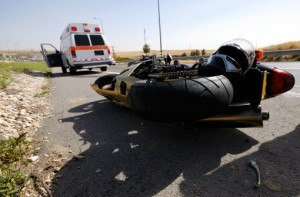 If you have suffered a motorcycle crash, you may need an attorney to help you fight for the compensation you deserve. The personal injury attorneys at Kurasch & Klein have the experience you need. The attorneys at Kurasch & Klein have more than three decades of experience. Our practice handles only personal injury cases, so you can rest assured that we have the relevant case experience. We have won millions of dollars for our clients, and we will fight to help you financially recover from your motorcycle accident. Contact us to schedule a consultation today.